Palate: Nutty, dried fruits, vanilla, with a delightfully complex and exceptionally long finish. 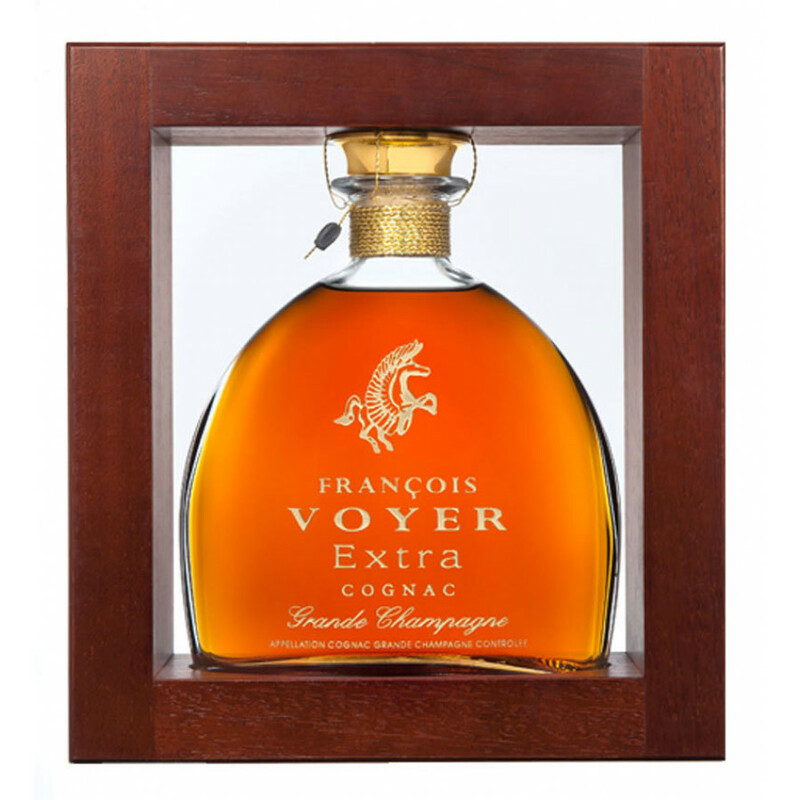 The Extra Francois Voyer Cognac should go down in the dictionary as the description of what makes Grande Champagne the premier growing area of Cognac. 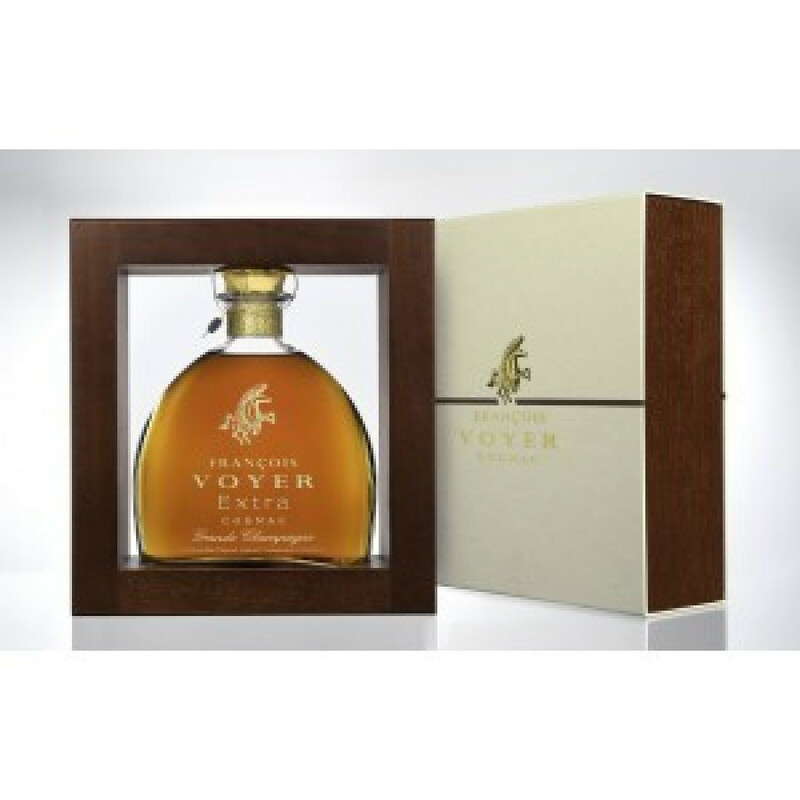 It offers a true celebration of aromas and tastes - from oriental spices right through to the unmistakable perfume of cigar box that characterises truly well aged eau-de-vie. This is a Cognac that both delights and teases. From the first taste 'explosion' to the lengthy journey of change and contrast - it cajoles and beguiles, continuing to delight right to the very end of it's wonderfully satisfying, long-lasting finish. Enjoy it straight - or, if you're the adventurous type, on the rocks. This is a Cognac over which it's essential to take your time. After all, why on earth would you rush one of life's true pleasures...? I am lovely, elegant and ever-so-perfectly balanced. Some think that I lack personality, but that's because I do so many things so very well. My harmonious flavors glide smoothly and subtly over the palate. My nose is gentle, but full and rewarding. Take your time with me and appreciate a great, hand-crafted cognac. I think this is a great blend - and don't forget this is produced by small artisanal producer Francois Voyer. So this is not a huge brand here selecting those blends.. Lovely Grande Champagne Extra Cognac: Very rich, and balanced. Chapeau Monsieur cellar master Pierre Vaudon!